After the Kinect’s (s msft) explosion in popularity, navigating by gesturing about in the air is becoming a more mainstream option for the electronics we currently control by touching, clicking and typing. 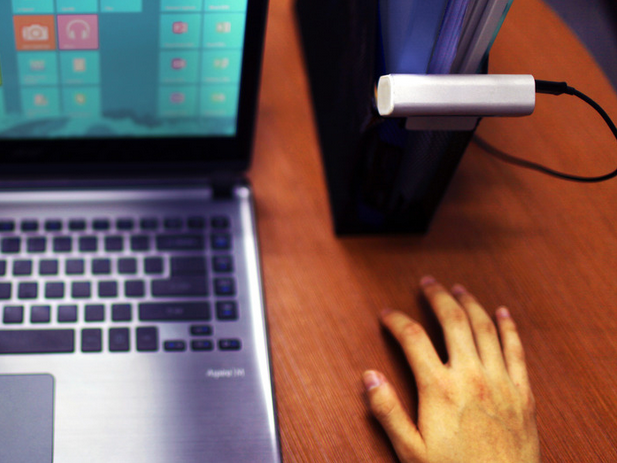 Haptix, a webcam-sized bar that can clip onto a laptop screen to track hand movement on any surface, is the latest option. It launched today on Kickstarter. Haptix is meant to strike a balance between touchscreens and the traditional keyboard/mouse combination that is both comfortable and intuitive. 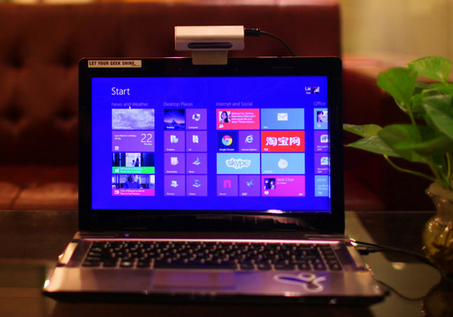 It’s compatible with screens on devices like laptops and TVs and can be used to create a virtual touchpad or keyboard. The Haptix team is asking for $100,000 on Kickstarter to get the project going. There are 500 devices available to backers for $59. After that they cost $65. The $70 retail price will be a shave below the $80 Leap Motion goes for. Haptix expects to ship the devices to backers by February 2014. 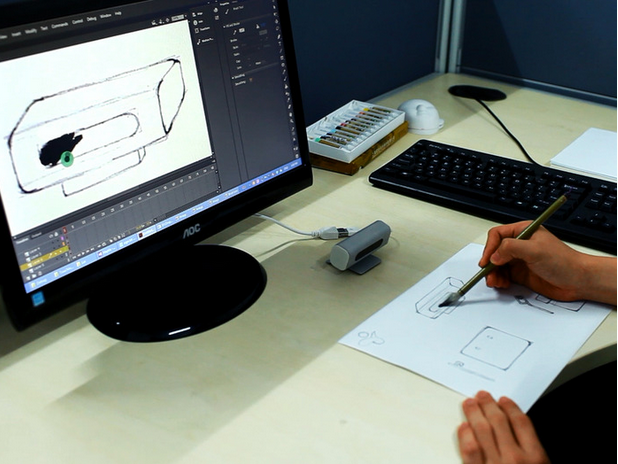 The device closely resembles the Leap Motion, which asks users to gesture in the air instead of on a surface. As my colleague Stacey Higginbotham noted in her July review, waving your hand around in the air above your computer is awkward. It’s also tough to find the right height and it can be tricky to grasp the 3D gestures. Haptix promises to be more intuitive because gestures are mostly constrained to a single surface. For example, you can set it up next to your laptop and use your hand as a mouse. Your middle finger can act as the cursor while your index and ring fingers perform left and right clicks. That doesn’t carry the user into a new age of human-computer interaction, but it offers another way to use the Haptix that will be familiar to any current computer owner. There are other more advanced uses, such as using any surface for the gestures that currently work on a Macbook trackpad. The Haptix can also read movement for activities such as painting. AND you can even use a real paintbrush. Leap Motion benefits from its decently stocked Airspace app store, which recently celebrated 1 million downloads. Haptix is more about doing what you already do with your computer or TV, but through gestures and touch commands. The BetterTouchTool for Leap Motion tries to do the same thing by letting the user program gestures to swipe between windows, scroll, click and so on, but, once again, it’s tricky to use it in mid-air. Here’s to hoping Haptix at least provides a smoother experience.